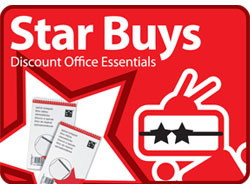 Office Allsorts, based in Nottingham, provide office supplies and stationery throughout the UK offering free next day delivery on 20,000 items at discount prices. 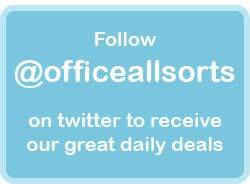 Welcome to Office Allsorts, one of the UK’s leading suppliers of stationery and office supplies online. With our extensive range of over 20,000 products, everyday low cost pricing, friendly and efficient customer service, next day delivery, simple to use website and commitment to promoting ‘Green’ office products we have become the office supplies company of choice to businesses throughout the country. 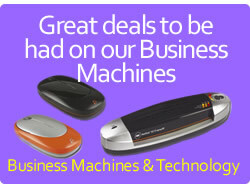 Whether you’re looking for printer cartridges or office furniture, envelopes or desktop accessories you can be sure Office Allsorts will have the right products at the right price. Founded in 2009 and based in Nottingham, Office Allsorts have been supplying businesses of all sizes with their office supplies needs for over 5 years. The company was created by three people with a passion for customer service who wanted to offer the benefits of dealing with a friendly local company without having to sacrifice the pricing benefits that can be achieved by buying online. With 35 years industry experience between the management team, and many years working with both large and small businesses from a logistical and customer service perspective we offer a personal, approachable service with some of the lowest prices you’ll find on the internet. Orders delivered next working day by our courier partner Fed Ex. Business accounts are available with a 30 day credit facility. Quick and easy invoice account creation for schools and the public sector. Simply send us your Purchase Order and we’ll take care of the rest. Next working day delivery is free of charge on orders over £40 (excluding VAT). The majority of our products are shipped in 100% recycled packaging and we also offer an impressive selection of 'Green Office Supplies'. We have a large product range with over 16,000 items. 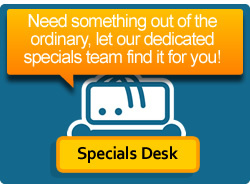 Dedicated 'Specials Desk' to help you source hard to find items. Safe and secure website giving complete peace of mind that your details will be safe. Ordering couldn’t be easier, we accept orders. Online at www.officeallsorts.co.uk 24 hours a day, 7 days a week. Office supplies, furniture and stationery, although often overlooked, are an important part of the majority of businesses in the UK. In recent years we’ve experienced numerous technological advances that have perhaps taken away our reliance on some items (when was the last time you sent a fax for example). However, there is no getting away from the fact that office supplies are as necessary today as they always have been which means purchasing the right products at the right price from a reliable supplier is important for all companies from new start ups to established larger organisations. Screen filters serve two important purposes, firstly they help reduce glare from computer screens which help people who suffer from headaches or eye strain whilst using their laptop or PC. 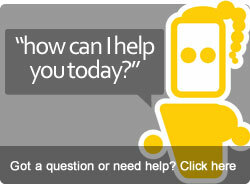 Secondly, they provide security for data displayed on your devices screen. In today’s modern working environment where laptops, tablets and smart phones allow us to work from almost anywhere you can never be sure who might be looking over your shoulder at your screen. A privacy screen filter prevents everybody but you from viewing your screen. Simple and easy to install, they reduce the viewing angle to 30 degrees from either side. Not the most glamorous side of office life but perhaps one of the most necessary. Waste bins and rubbish bins in the office, break room and toilet facilities are all essential items and specifically designed products are available for each area of the workplace. It’s also important to have a recycling system in your business, one that allows for paper, plastics and metals to be separated and processed independently are ideal. As well as doing your bit for the environment this type of initiative can help your business achieve the important ISO 14001 certification which has proven financial benefits. Magnetic glass boards provide an elegant alternative to conventional drywipe whiteboards. The state of the art Artverum range, manufactured by Sigel, offers simple styling with straight polished lines that mean the board is not only functional but also a designer piece that will stand out in any office or home. The Sigel glass boards are ideal for planning and organisation as they are magnetic and can also be written on. A self supporting suspension allows the board to seemingly float on the wall without a frame or any visible fixings. All Sigel boards come with SuperDym cube magnets and these can also be purchased separately in packs of four if more magnets are needed. This may seem like an old fashioned, out dated piece of office supplies equipment but the flipchart easel can be a very valuable presenting tool that is low cost, flexible and easy to use. Most are easy to transport and come with telescopic or folding legs and are manufactured from lightweight material, such as aluminium. With flipchart easels you have the benefit of being able to use either the dry erase board, meaning you effectively have a transportable whiteboard, or the paper pad which allows you to prepare in advance for your presentation or meeting. Ideally your office or workspace will benefit from lots of natural light, however even the sunniest room will need additional lighting and it’s important to get this right. Each room will obviously need ceiling lights that can be quickly turned on or off but there are always nooks and crannies where this light won’t reach and here additional lamps can be used. This not only has the benefit of improving light levels but also can improve the overall look of the office making it a more desirable place to work for employees or visit for clients. If you’re lucky you will have office cleaners who will clean the general working areas, remove rubbish and keep the office looking tidy. However, most cleaning firms don’t clean computer equipment and phones and will only clean desks if left clear of clutter. There are lots of scary facts about the number of bacteria that live on the average desk or phone and how this contributes towards employee sickness days. The simple solution is to invest in some basic computer and desktop cleaning products. There are specially designed products for cleaning your computer screen, phone, keyboard and other computer equipment. If all employees get into the habit of regular desktop cleaning this will reduce harmful bacteria and therefore should reduce days out of the office due to illness. In modern business there is less need than ever for paperwork as the development of computers, and more importantly mass storage devices and cloud computing have removed the necessity for keeping hard copies of all documents. However, many people still prefer to read straight from a printed page rather than a computer screen, and also feel safer in the knowledge that they have a paper based backup of important documents, should the digitally saved version become inaccessible. It is also law to keep certain business records for a period of six years so they can be reviewed if necessary. All this means that the majority of businesses will require filing and archiving systems so documents can be easily found when required. Regularly accessed documents can be kept in Lever Arch Files or Ring Binders and housed in storage unit. Colour coded files and folders can be used to signify different topics. Alternatively, a filing cabinet can be purchased and suspension files used. This has the advantage that large amounts of paperwork can be stored in a relatively small footprint of space and with proper labelling it is all quickly available. If the documents are important then fire and water resistant filing units can be purchased to protect paperwork for up to one hour. Human beings were not designed to sit in one place looking at a computer for eight or more hours a day. People who regularly do so can suffer from back and neck problems, caused by viewing their screen at an incorrect angle or from poor posture whilst sat at their desk. As with most aspects of life, prevention is better than cure, so it is good practice to make sure your employees have access to the correct ergonomic devices that can improve posture, viewing angles and prevent repetitive strain injury (RSI). The list of possible ergonomic office supplies is long but items such as foot rests and back supports can dramatically improve posture. Monitor risers for computer screens and laptop risers can help people view their screen at the correct 45 degree angle. Wrists rests for keyboards and mice are available cheaply and help prevent RSI. To ensure all members of your team have the right equipment conduct annual reviews assessing their working environment and make them aware that as a business you are happy to invest in equipment to help them with any issues that they may have. From a business owner perspective, the small investment in ergonomic equipment may save thousands of pounds in days lost to staff absence through posture and comfort related issues. What do you stock in the stationery cupboard? Whatever it is, always make sure someone in the business is responsible for managing office supplies from both an ordering and distribution perspective. This has two benefits, firstly with someone monitoring your stationery you should always have everything you need available when it’s required. The second benefit is that with one person in charge of what is passed out to employees you can ensure only items actually needed are taken. This will help control your office supplies spend and ensure this often overlooked business expense is kept well managed. In terms of what you hold stock this will depend on your type of business, but the basic items to consider would be ballpoint or rollerball pens, staplers and staples, hole punches, rulers, pencils and pencil sharpeners, calculators, correction fluid, highlighters and copier paper. Of course there are potentially hundreds of other items but this short list will cover the essentials.